Nag stuns in a Stylish Look : King Nagarjuna has many interesting projects lined up and he has been switching to different genres with every new movie. For the first time in his career, he signed a horror comedy which is currently under shoot. The movie is the sequel for Raju Gari Gadhi and Omkhar is directing the film. The movie has been titled Raju Gari Gadhi 2 and Samantha, Seerat Kapoor are essaying other crucial roles in the movie. The shoot of the film is currently going on in Pondicherry and some crucial episodes are being canned on Nag, Samantha and Vennela Kishore. 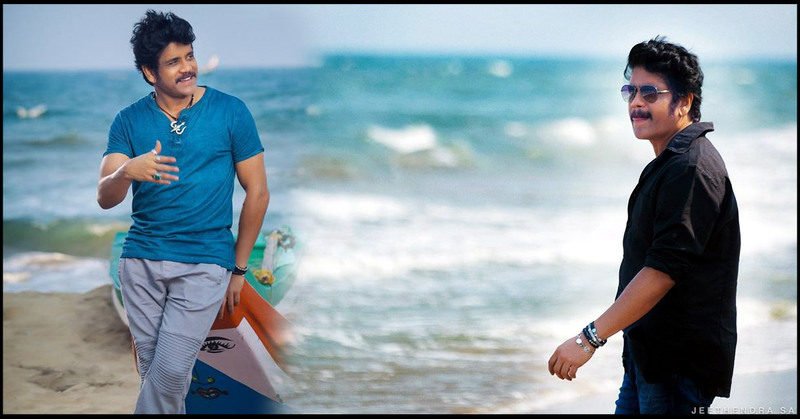 Some stylish clicks of Nag have been out from the shoot which are now trending across the social media. SS Thaman is composing the music and PVP Cinema, OAK Entertainments are jointly producing the movie. Raju Gari Gadhi 2 is all set for release during the second half of this year.